With preparations underway to open its permanent home in the Miami Design District on Dec. 1, the Institute of Contemporary Art, Miami plans to kick off its grand opening with a bold inaugural program that its director says reflects the museum’s commitment to championing new narratives in contemporary art, while providing a platform for the exchange of art and ideas. As a result, the museum’s new 37,500-square-foot home, which was designed by the Spanish firm Aranguren + Gallegos Arquitectos and funded entirely by a major capital gift from Irma and Norman Braman, will provide guests with the opportunity to view exhibitions from local and international artists in its new exhibition galleries, ground floor galleries and 15,000-square-foot sculpture garden. One of those exhibitions includes its inaugural program of “The Everywhere Studio,” which brings together over 50 artists from the past five decades to reveal the artist’s studio as a charged site that has both predicted and responded to broader social and economic changes of our time. 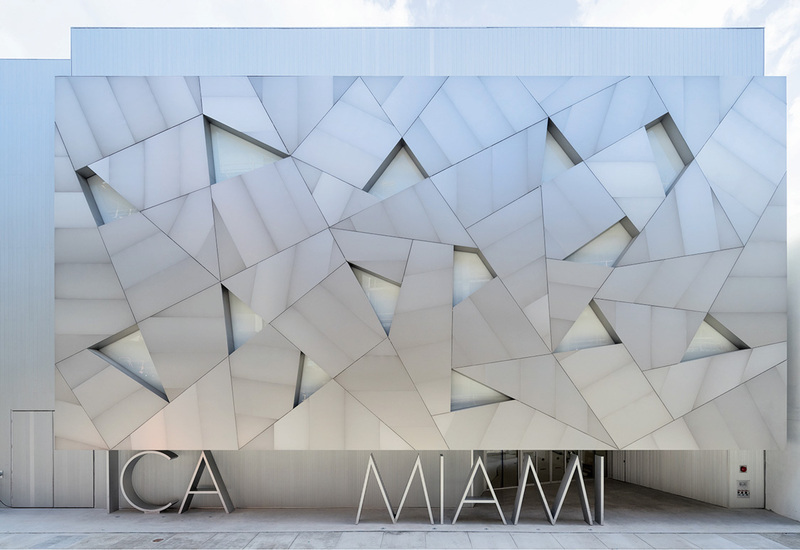 “The inaugural program of the new ICA Miami represents an expansion of the depth and breadth of our programmatic approach,” said Alex Gartenfeld, deputy director and chief curator of ICA Miami in a release. “Thematic surveys such as ‘The Everywhere Studio’ will explore critical topics in contemporary practice through the work of today’s leading artists as well as their predecessors,” he said. “These major exhibitions, in addition to solo presentations of rarely exhibited bodies of work like those of Senga Nengudi and Hélio Oiticica, are key examples of ICA Miami’s commitment to bringing fresh perspectives to our understanding of contemporary art, fostering dialogue and expanding scholarship in the field.